Ryan continued the conversation and told Eddie about his association with hyperbaric oxygen therapy and how it can heal ulcers. Eddie responded, “I am going in for surgery in a few weeks to have my ulcer fixed. That therapy sounds nice, though.” Then he changed the subject. Eddie wasn’t ready to try some hocus-pocus treatment that he had never heard about before. 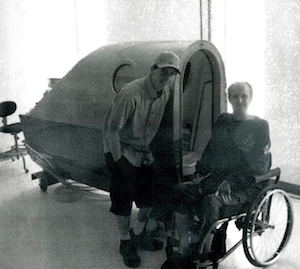 He and Ryan stayed in touch, and after about two weeks, Ryan convinced Eddie to try hyperbaric oxygen therapy. Eddie went through ten treatments and his ulcers started to heal. Best of all, he discovered that he no longer needed surgery. After joining forces with Ryan on a volunteer basis, Eddie began putting together a plan for the business to move forward. He produced brochures, designed a website, ran errands, and took over the administration and financial duties of both the private and nonprofit sides of the business. Additionally, Eddie began holding fundraisers and structuring the professional operation in their “broom closet” clinic as they began to seek more patients. It was obvious to Ryan and Eddie that the market was there, but cost prohibitive, even at Ryan’s low cost per hour, which was extremely low compared to the hourly cost of HBOT therapy at local hospitals. Additionally, those hospitals did not treat veterans with TBI or PTSD in parallel, as Ryan and Eddie’s clinic would eventually do. In those first days as partners, they also lacked a business plan and the advertising needed to promote this unique practice. Eddie knew about Ryan’s quest to start a nonprofit in Gunnison to help the young boy who had almost drowned in the canal. Eddie suggested that they start a 501c3 nonprofit organization and then quickly began researching to file for legal status with the IRS. Within a few months, they established the clinic’s nonprofit association. 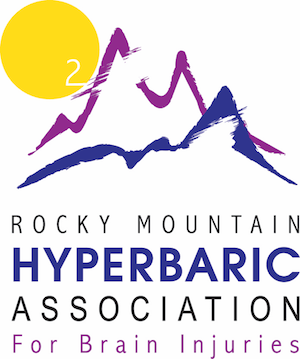 The private clinic, Rocky Mountain Hyperbaric Institute, with its nonprofit Rocky Mountain Hyperbaric Association for Brain Injuries, had now begun its initial journey into the world of HBOT. After receiving the nonprofit status, Eddie and Ryan slowly began to build their clientele and prove that this therapy actually works. After two hyperbaric treatments, Eddie began feeling a tingling sensation on his right side and started to feel his “brain fog” lift. He soon began the laborious task of relearning to walk. Recovering quite rapidly, he was released from inpatient therapy and began outpatient status as he continued to receive hyperbaric therapy. After this initial donation, Eddie then tried his hand at grant writing. 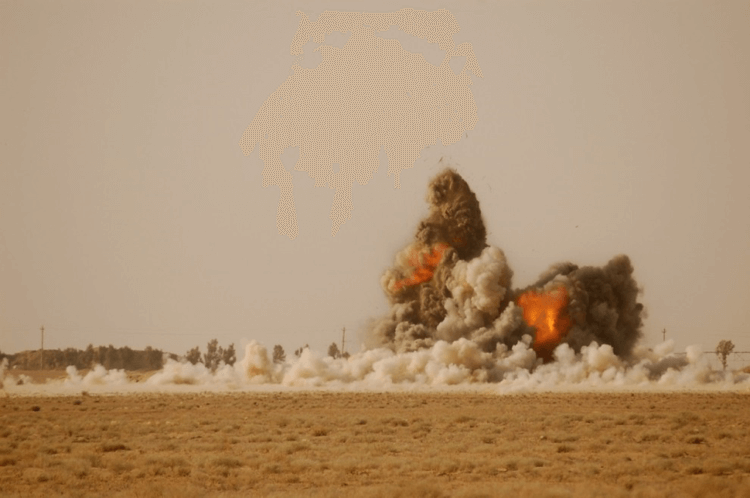 He began to acquire an appreciation for the very daunting task. 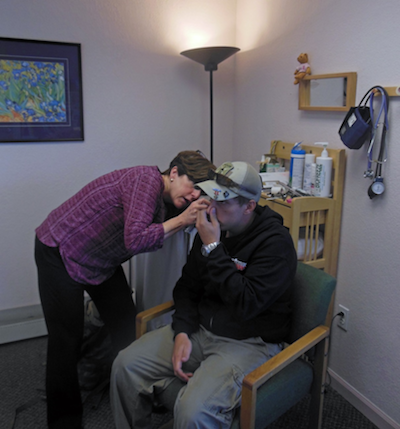 After twelve rejections, the clinic’s nonprofit finally received a $7,500 grant to help provide treatments to wounded veterans. It was during this same time that Eddie had organized an informational seminar at the Caritas Center in Boulder to both discuss HBOT and create awareness of the nonprofit program. As Eddie recalls, “I had mentioned our Caritas Center meeting on Facebook, and through this post, I met a Marine, Bob Alvarez, counselor in the Warrior Transition Unit from Fort Carson, Colorado. He had previously helped coordinate some of the brain-injured veterans, who’d returned from Iraq and Afghanistan, so that they could receive HBOT in other clinics. Bob was hoping to bring an interested retired Marine Colonel to this seminar.” Colonel Robert L. Fischer attended with Alvarez but remained skeptical until he saw firsthand the success these treatments produced. Fischer began to frequent the clinic and observed what we were doing. After that first meeting in 2010, Fischer became totally committed to their fledgling program, especially after he interviewed a few of the first veterans that Ryan and Eddie had treated. He became convinced that HBOT was safe, effective, and the future in treating TBIs. 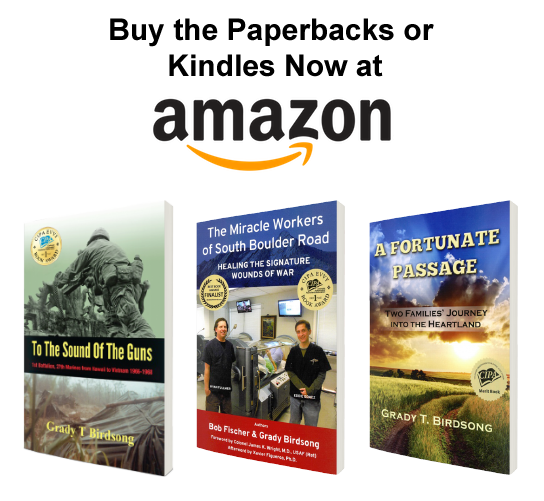 Shortly thereafter, he began his own personal search throughout all of his contacts to help find funding for the Rocky Mountain Hyperbaric Association for Brain Injuries, which is when he enlisted the help of his friend, Grady Birdsong. Colonel Bob Fischer and Grady Birdsong had a number of veteran organization contacts in Denver and nationwide. They started presenting the Rocky Mountain HBOT program to others and gained early monetary support for the nonprofit fund that Eddie had established in 2008. As part of the nonprofit organization, Ryan and Eddie subsequently created a special fund and named it the “Healing Our Heroes” program to help veterans with treatments and housing costs while undergoing treatment. The largest Marine Corps luncheon group in the Denver area, “Cooper’s Troopers,” the American Legion, and the VFW raised the first veteran-donated funds. Other donations trickled in from various social, military, and government groups. Grady went to work creating short videos of the veterans’ dilemma and the healing process taking place at the clinic. After making videos for the clinic website, Bob and Grady made numerous presentations using Grady’s short videos. In seeking donors, Bob also contacted one of his acquaintances, Peter Haas, the President of Marine Corps-Law Foundation, whose headquarters is located in New York City. Mr. Haas replied that his Law Foundation charter did not allow financial support of such programs, but rather their funds were used to defend Marines and their families who had serious legal problems. However, once he read our material, Pete contacted another friend who was literally on his deathbed. When he showed his friend Grady’s video, the dying man wrote a check to Eddie’s “Healing Our Heroes” 501c3 fund for $50,000. This was the beginning of bigger things to come. Shortly after that, the earliest major benefactor, Caleb Gates, President of Denver Investments, appeared and began organizing lunches and galas with other big donors in the Denver area. 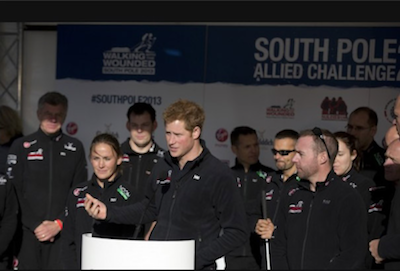 Caleb’s support enabled Ryan and Eddie to expand their HBOT enterprise, and that provided free treatment for veterans.